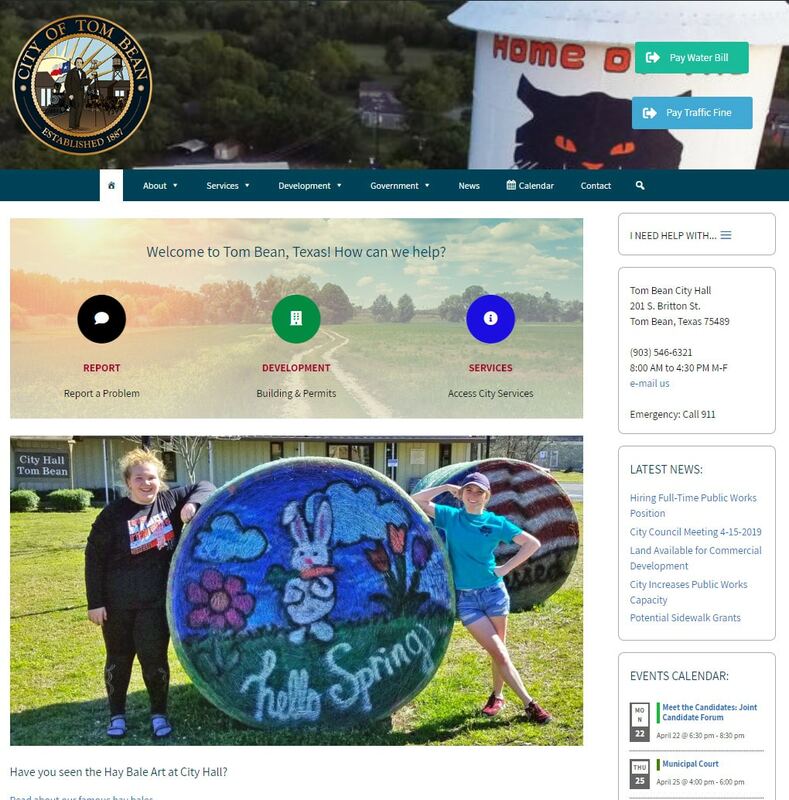 We are pleased to have developed a new website to help the City of Tom Bean, located north of Dallas in Grayson County, reach out to and solicit feedback from the community. Document library organizes and provides revision control for ordinances and other official documents. Quick access “I Need Help With” menu. Site search engine that includes all types of documents, such as agendas, minutes and budgets. Online application for city committees, and online requests for police reports and open records. 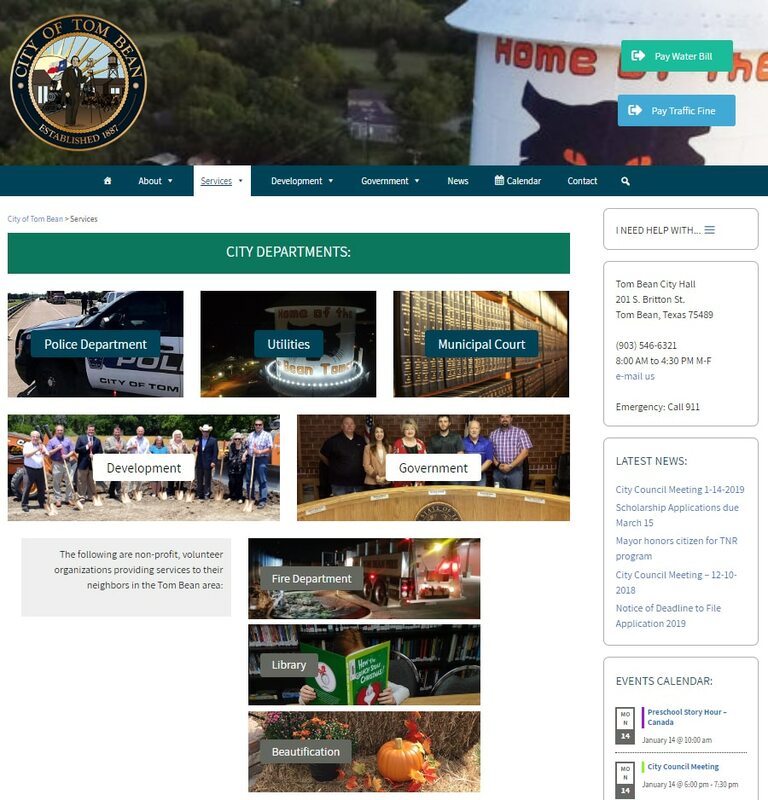 City events calendar, permit library, mobile-friendly design, news archive, council meeting packets, and much more. The Mayor has been taking photos and recognizing staff and volunteers on the official City Facebook page for quite some time. In fact, no accomplishment has gone unnoticed! 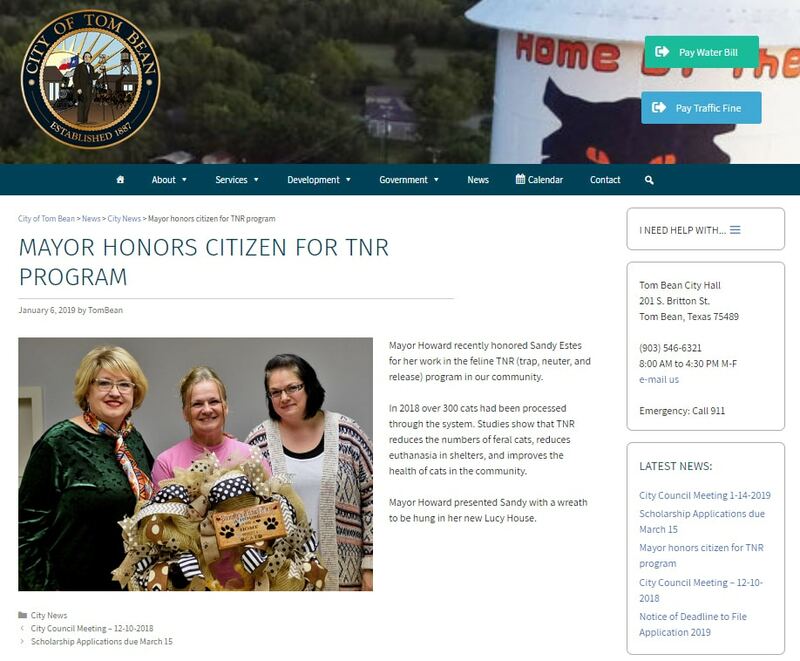 So, it was easy to find content and photos that we thought would show what makes Tom Bean unique as a friendly, growing and professionally managed town in the fast-growing Sherman-Denison area. We believe that this site will facilitate transactions and feedback with residents and businesses already located in the City, and make the City more attractive to future residents, businesses and home builders. The City depends on the hard work of volunteers to get things done. Complementing the City’s excellent Facebook page, the new site offers another way to explain what these groups do and how to support them. At Sheep Boutique, we are passionate about helping local governments connect with the people they serve. It was a pleasure to help this community show the world what it has to offer.